What made ASIM special, for me, was the way that everyone brought different skills to the group. We had experienced editors, layout wizards, marketing gurus, techie types, and more, and this mix of talent meant that we not only had all the abilities needed to create a magazine, but also the opportunity to learn a lot from others. It was a truly invaluable experience for me and during my time with ASIM, I was able to undertake various duties for the Co-op with the guidance of those more experienced, while also being able to pass on my knowledge to new members as well. ASIM also proved a time when I made a great many connections in the spec fic world – over my years with the magazine, I worked with amazing and generous authors (both established and just starting out in their careers), incredible artists and talented editors. I made many excellent friends as well as solid working relationships with people in Australia and overseas, which was a privilege and a firm grounding to continue working in the field after I departed the ASIM team. One of the most important and interesting jobs at ASIM was slush reading. We developed a pretty cool system of blind slushing, where up to three people would read the submissions without any idea of who had sent it in, which meant we were reading fairly and without personal bias. It wasn’t perfect of course – what one slusher saw as brilliant, another might view as derivative or odd, so some gems may have slipped through the net. On the whole though, we ended up with a consistently high level of story in our editorial slushpool, and it was rare that a forthcoming editor was stuck for works to include in their issue. The sheer volume of submissions ASIM received was astonishing to me. We had ticked over our 6000th submission by the time I left the group, and I’m certain the magazine has continued to grow in popularity as a market over the time since. I really enjoyed choosing stories from the slushpool, as having three opinions on a story to help guide the editing process was often a great help. Slushreading on your own, as I have done for the past three anthologies, is a very different thing. For starters, I have no slushmistress to strip the details from the submissions for me, which means I always know whose story I am reading. This isn’t really much of an issue for me, given the number of years I have been slushing, editing, and also judging, in the genre, but it’s still something I miss. Slushing is at the same time one of the most exciting and disheartening parts of the editorial process. It’s exciting because you never know when you are going to come across that story that makes you laugh (in a good way), cry (in a good way) or challenge your expectations. It’s disheartening, because so many writers ignore guidelines (which really are there for a reason), or send in stories that just aren’t ready to be out in the wild (but might be, with a good workshopping or polish), or respond very poorly to rejection. In most cases, a polite cover email and the fact that you’ve bothered to follow the clear guidelines given provide an instant good first impression – conversely, blatantly disregarding the guidelines, not bothering to send a short note in the email, or any one of a number of other behaviours that indicate disrespect (intentional or not) mean that the impression you’ve given to me, the person you want to buy your story, is a poor one. I’ll probably still have a look at your story. I’m a fairly nice person. Many editors are even more time-poor than me, and will reject a submission if the subject line is not correct, let alone any other infraction. It’s worth remembering. Another point I really wish writers would understand (and this applies particularly to new writers, although even those who have been in the game a while sometimes forget) in this age of the Internet, is that if you post your story on your blog, it is published. That immediately disqualifies it from any competition or submissions call that asks for “unpublished, original work”. Post your story to an open critiquing site? Published. Put it on Facebook? Published. Permit a tiny, free webzine to use it? Published. And we will find out. It’s a habit of mine to google the title of your story, or a nicely turned phrase, and see what comes up, so please, do be aware of what you publish online. I really love what I do. I love every part of the editorial process, from coming up with ideas in the first place, through slushing, editing and holding the finished book in my hands. And the best part of that process is working with fantastic professionals who inspire me, and seeing people who I helped publish early in their careers go on to amazing things (shall I list some? Okay, you’ve twisted my arm! Joanne Anderton, Jim C Hines, Thoraiya Dyer, Trent Jamieson, Aliette de Bodard and more). It’s awesome. Tehani Wessely was a founding member of Andromeda Spaceways Inflight Magazine in 2001 and created her own publishing house, FableCroft, in 2010. 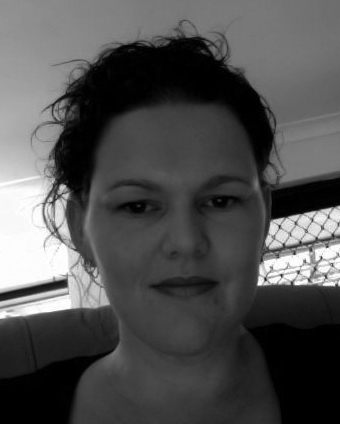 Now firmly entrenched in Australian speculative fiction and independent press, she has edited for Twelfth Planet Press (among other duties), judged for the Aurealis Awards, CBCA Book of the Year and the WA Premier’s Book Awards, reads far more in one genre than is healthy, and writes reviews, non-fiction and interviews. In her spare moments, she works as a school Librarian and enjoys spending time with her husband and three children.